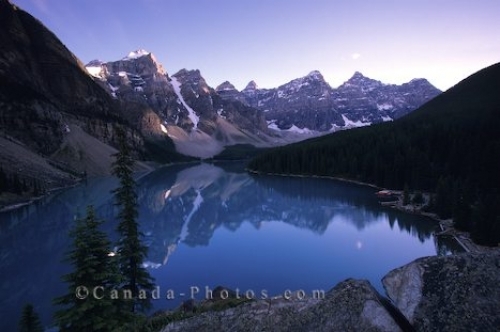 Mountain Peaks surround Lake Moraine in the Rocky Mountains of Alberta. Lake Moraine near Lake Louise in Banff National Park, Alberta, Canada. Picture of the azur Lake Moraine in the Banff National Park, Alberta.